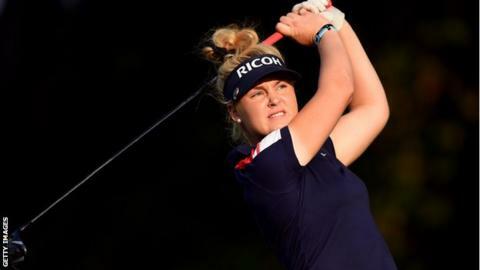 England's Charley Hull was denied a second Ladies European Tour title as China's Xi Yu Lin held on to win the Sanya Ladies Open. Hull, 18, carded a final round of 69 at Yalong Bay Golf Club but overnight leader Lin produced a fine 67 to win by five shots. "It was a good day and I'm happy with how I'm playing," Hull said. "It was windy out there again today. I nearly holed so many long putts, but they were all on the edge." It was a first Ladies European Tour victory for Lin, also 18, who first competed in the Sanya Ladies Open as a 14-year-old amateur and has never finished outside the top 10 in the tournament in her homeland. Hull sealed her maiden Tour title in March when she won the Lalla Meryem Cup by beating France's Gwladys Nocera in a play-off.